Quality wood, vinyl and vinyl composite deck construction and deck repairs for Bloomingdale, Illinois. Join our list of satisfied Bloomingdale deck customers. The Bloomingdale Building Department is known as a demanding one. 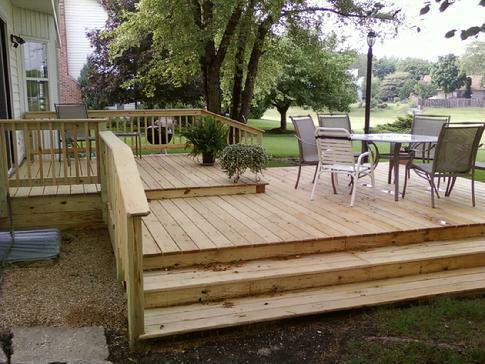 It takes a knowledgeable and thorough contractor to navigate the many do's and don't's of residential deck construction in Bloomingdale.